Can Anyone Beat Jon Jones? Alexander Gustafsson is the underdog in his rematch with Jon Jones. But if he can’t beat Jones, who can? Hello, Midnight Maniacs! For Christmas, MMA Mania’s resident expert (and MMA pro) Andrew Richardson and I teamed up to bring you something special. A Christmas gift, as it were. I made with a list of everyone across three weight classes who could possibly hope to ever beat Jon Jones, and then asked Richardson to make sure I wasn’t being too optimistic with it. This was before tests revealed that actually, his blood naturally contains a trace amount of turinabol, so they moved a whole event over one state in a week to find a commission that understood this scenario. Glad to have that straightened out! Hope y’all enjoy, and Merry Christmas! Jon Jones, who returns to action at UFC 232 against Alexander Gustafsson — yes, in an entirely different state and city than everyone was planning on — may well be, currently, the most dominant fighter in MMA history. Undefeated by all save himself, Jones has beaten a laundry list of former and current champions. This is the immutable truth, failed drug tests and trace amounts of steroids notwithstanding. Only a few opponents have even really troubled Jones. Lyoto Machida was arguably the first to win a round from him (Richardson informed me that Bonnar technically won a round on two of three judges scorecards). Alexander Gustafsson gave him perhaps his closest fight, Ovince St. Preux arguably took two rounds from a rusty Jones, and Daniel Cormier took a round or three from Jones out of the eight rounds they spent in the cage together. He’s never been knocked down or even noticeably hurt. Can anyone beat Jon Jones? As the old catchphase goes, impossible is nothing… but unlikely is definitely a thing. Jones is a physical and technical freak of nature, 6’4” but with the longest reach in the UFC, an 84.5” span. He parlays his length with nearly peerless wrestling ability to form his base for success, then couples that with a deep gas tank, a competitive ego the size of a B-52 jet, psychopathic cunning and high-level athleticism. There are several possible approaches to answer the question, “who in the world could beat Jon Jones?”. For this article, we will start by examining who has troubled him, look at how and why they troubled him, use that knowledge to construct the perfect hypothetical opponent for Jones, and then see how many (if any) real fighters match up with our blueprint. Who has troubled Jon Jones, and how have they done it? When opponents have troubled Jones, it has generally been because they kept the fight in the one range where he isn’t as strong, at the edge of punching distance. Any further out, and Jones piles up long range kicks with impunity. Any closer, and he grabs the clinch with his long limbs, landing knees, elbows, and threatening with a myriad of takedowns. This littoral, between the solid ground of continuous contact and the open space of the cage, and just outside the breaking waves of Jones’ elbows, is the only range where he is less than totally dominant. His punches are mechanical, without snapping power, and any lapses in his generally waterproof defense are the likeliest to occur here. Of course, Jones’ whole game is built near-perfectly to avoid this distance. Until he fought Lyoto Machida, no one had even punched him cleanly in the face — in 15 professional fights. He is exceptionally good at using his reach, and excels at putting physical barriers between himself and opponents with kicks, knees, intercepting elbows, his jab, and eyepokes. In fact, while he has evolved since, his early defense was just to put one hand up like an earmuff and point his other hand at an opponent’s face like a big brother palming his shorter sibling away as they try to swing at him. With a reach advantage ranging from 6 inches to a foot, that was usually enough to keep a fighter at bay. When an opponent does get inside, Jones is quick to take them all the way inside, wrapping them up with an underhook, overhook, a hand behind the head, or even just wrist control. Once there, Jones is among the finest clinch fighters in MMA history, using potent elbows, knees, spinning elbows, and a slick inside boxing game in addition to a dazzling array of takedowns and trips to overwhelm opponents. No one has ever been able to dominate Jones in the clinch. If he can maintain contact of any kind, Jones is generally winning. The only challenger to his dominance of the inside phases of the fight was Daniel Cormier. The strongest wrestler and clinch fighter Jones has ever faced, ‘DC’ still came up short, literally and figuratively. In their first bout, Jones used his leverage to make two-time Olympian Cormier work harder than Jones to achieve a semblance of parity through three rounds, took him down when he got exhausted in the fourth round, and just leaned on him in the fifth. In the rematch, Cormier adjusted and had his moments of success, landing quick punches when he got inside Jones’ reach, and did well breaking away from extended clinch exchanges and circling clear of the cage. Jones won that fight by keeping DC on the outside in kicking range for extended periods, eventually knocking Cormier out with the infamous high kick… before testing positive for steroid metabolites. Gustafsson, who will get a well-earned rematch five years in the making at UFC 232, is regarded as Bones’ most successful opponent. A sharp contrast to DC, he took the route of least resistance; by keeping the dance in the ephemeral slice of distance just inside arm length, he troubled Jones with his boxing, again the one skill set in which Jones is not a natural. Gustafsson did most of the damage with his lead hand, landing jabs and quick counter hooks. He never stunned or hurt Jones, and couldn’t quite land that decisive power punch, but he did bust up Jones’ face, leading to the famous picture of both fighters in the hospital embracing, each man’s visage a swollen mess. Nicknamed “the Mauler”, Gustafsson was able to pull off what no other opponent had been able to by virtue, in part, of being 6’5”. Height helped him in two ways: unlike Lyoto Machida, he didn’t have to explode in from the outside to touch Jones, negating the first line of Jones’ defense, and his long legs helped him fend off the takedowns. Jones tried to get Gustafsson down, nearly a dozen times in fact, but Alexander went 1-1 on completed attempts with the 205-lb. kingpin, and got back up without taking additional damage on the one completed attempt. To use language from Jon Jones’ own head coach, Greg Jackson, Gustafsson avoided the ‘nodes’, the bottleneck points in the decision tree that links Jones’ striking to his grappling. It wasn’t entirely dissimilar to the way Jones’ teammate Holly Holm shut down Ronda Rousey’s throws. He avoided the clinch like the plague, and used frenetic movement, to the point of turning his back and running laps halfway around the Octagon, to maintain his distance. Like Holm, when he clinched it was on his terms, leading to his surprise first-round takedown. Yet, unlike Rousey against Holm, Jones pulled out the win on the scorecards. Why? Mostly because, while Gustafsson was jabbing, he was kicking. Jones has an entire unorthodox arsenal of outside kicks, from front kicks to side kicks to spinning back kicks to oblique kicks to head kicks, and he used them all on Gustafsson. The most visually notable were the head kicks he landed, but just in terms of raw strike count he did outland Gustafsson over the course of the fight. He used his elbows and jab as well, but what kept Jones competitive through three rounds was undoubtedly his more diverse kicking game. Then, in the fourth round, which was probably Gustafsson’s best up to the last thirty seconds, Jones landed one of his signature spinning elbows flush, and rocked the Mauler. The tall Swede survived to end of the round and even kept up his workrate into the last round, but Jones’ body language was much more confident. Gus’ own nonstop movement had tired him, and at one point he even put his hands on his hips and bent over in exhaustion. That kind of visual leaves an impression on the judges, despite the fourth and fifth rounds being the closest in terms of strike counts. Jones had dug deep into his bag of tricks and relied on his cardio- despite famously undertraining for the bout- to carry the day. Gustafsson can certainly hope to win in the rematch. But is he the last best hope to see Jones defeated in the cage? What characteristics does one need to best the light heavyweight GOAT? Firstly, one must have a baseline level of athleticism. If one were constructing an ideal opponent for Jones, he would also match Jones’ height and size. He would need really excellent defensive wrestling, and perhaps even more importantly, really good footwork. It isn’t impossible to take away Jones’ grappling by denying him entries in the first place. Ovince St. Preux, also one of the few ‘Bones’ opponents who could match his size and strength, was able to stop Jon Jones’ wrestling until he backed himself into the cage under pressure, giving Jones a few crucial takedowns. Jones usually relies on the cage to complete his takedowns; staying clear of the cage is crucial for any opponent. Good footwork doesn’t need to only mean an ability to evade Jones’ pressure, though. Jones himself is not invulnerable to pressure, and on the rare occasions opponents have been able to back him up, as Daniel Cormier did during their second fight, they have had success. His own striking defense suffers when he has his back to the cage- if anyone is to knock him out, it will most likely be there. Our perfect opponent would also need outstanding conditioning, as every version of Jones has been able to outwork his opponents by some margin, however narrow. Assuming that outwrestling Jones is just about an impossible ask, the ideal Jones’ foe would have quick hands and good power. They would also have a full kicking arsenal and would be able to kick with Jones, denying him the time and space to build up a lead from distance. That was ultimately where Gustafsson fell short in their first bout- he allowed Jones too many free kicks. Many observers evidently didn’t score those kicks very highly when they counted the first three rounds for Gus- but the judges did. The gameplan is simple, if incredibly difficult: deny Jones his wrestling, kick with him, outbox him. As noted, it isn’t necessary to outwrestle Jones to stop his wrestling. 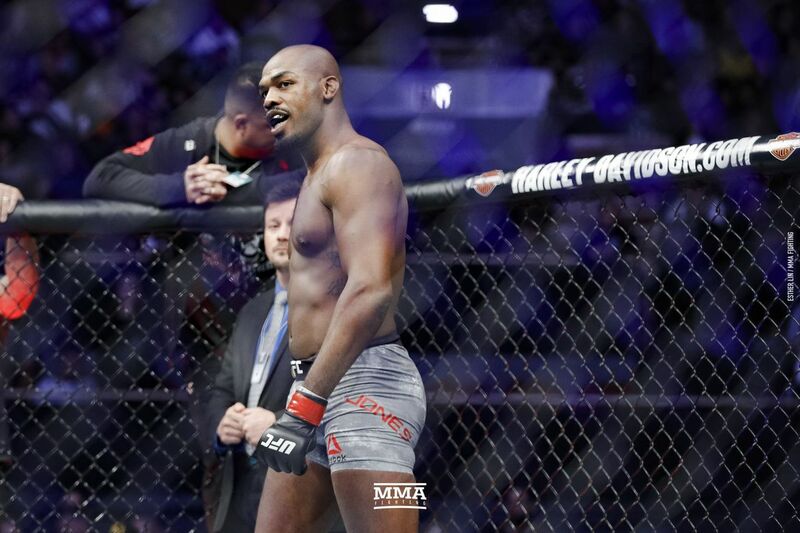 Ideally, a strategy would rely on winning rounds, not on hurting Jones or knocking him out, as he appears to have quite a chin, and has taken relatively little cumulative damage to change that. Let us take a closer look across three weight classes, scouring for anyone with potential to best ‘Bones’ in the Octagon. Middleweight: despite being in a weight class twenty pounds south of light heavyweight, middleweight is home to many fighters who are just as big as the fighters at 205, as evidenced by the numerous fighters who have crossed weight class lines in both directions (Anthony Smith, Lyoto Machida, Anthony Johnson, Rashad Evans, Gegard Mousasi). A few of these middleweights might even have an outside shot at beating Jon Jones. Luke Rockhold: 6’3”, 77” reach- An incredible defensive wrestler and grappler, the former middleweight champion, who is in fact planning on migrating to light heavyweight, has the long-range kicks to trouble Jones, but also boasts a suspect chin, and has demonstrated trouble with fighting at a high pace. Rockhold showed vast improvement to his striking, particularly his jab, against Yoel Romero. It didn’t matter, because Yoel Romero in the third round is an alien god, but that version of Rockhold could trouble a comparatively less explosive puncher in Jon Jones. His footwork could be an issue; if Jones managed to back him to the cage and turn it into a clinch battle, Rockhold wouldn’t be helpless by any means, but Jones would be heavily favored to win. Jones by decision would be the most likely outcome. Andrew Richardson’s Thoughts: Rockhold is too limited to defeat Jones. If Jones simply switched to the Southpaw stance — where he’s quite good — he’d take away Rockhold’s left kick in a major way. Without that range weapon that carries his game so heavily, Rockhold would be trapped on the outside like most of Jones’ opponents, and his only hope would be to counter a takedown with a submission of some kind. Rockhold is great, but that’s a bad match up. 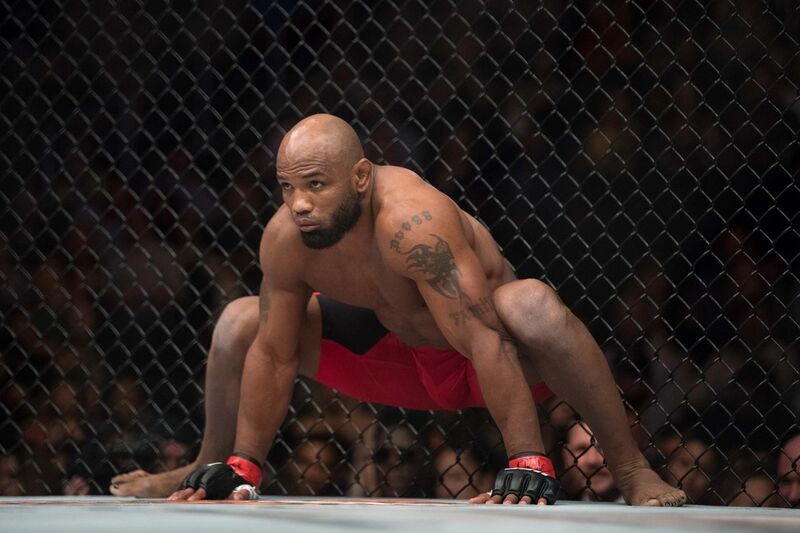 Yoel Romero: 6’0”, 73”- An incredible wrestler and athlete, Yoel is a much shorter, slower-paced fighter, and would need to explode in and hurt Jones. Unlike almost anyone else, that’s very possible to imagine with ‘the Soldier of God’. He can almost certainly stop Jones’ wrestling, and has a huge advantage in boxing range, but Jones’ path to victory would be the same as it always is- keep Romero all the way out or all the way in, and kick him until he gets tired. A wild card here is that Yoel is a former training partner of Jones; however, as Whittaker can attest, even having tangled with the Cuban before is no guarantee you have him figured out. Romero would need to take the approach of similarly-sized Daniel Cormier- absorb kicks, block the punches, wait for his openings, and attempt to hurt and finish Jones with something massive. What makes Yoel different is that this is precisely the gameplan he’s followed with great success lately. A physical phenom and athletic freak of nature, Yoel Romero has hurt literally every single fighter he’s ever been locked in the UFC Octagon with, a record that includes middleweight’s Holy Quaternity of Chris Weidman, Luke Rockhold, Jacare Souza, and Robert Whittaker. It’s far from impossible, then, to picture him knocking Jones out — but ultimately, not as likely as Jones winning a decision, especially as Jones can tie up with Romero if hurt. I give Jones a 60-40 chance of winning, but would absolutely watch the hell out of this fight. Andrew Richardson’s Thoughts: I can see the picture Pearson is painting here, but I don’t buy into it as much as he does. Fact of the matter here is that Romero will have to win by knockout, and every second he does not spend punching Jones in the jaw will see his legs and mid-section getting kicked to pieces. Jones is 20 lbs. heavier than the men Romero has knocked out, and as Pearson has mentioned, has yet to be stunned by a strike. Robert Whittaker: 6’0”, 73” reach- “Bobby Knuckles” is much smaller than “Bones”, and would need to navigate Jones’ length from the outside, but he is used to fighting from the outside anyway, and does have really phenomenal defensive wrestling from training and competing with Australia’s national team. This would probably look like a more competitive version of Jones-Machida until Jones found a way to take Whittaker down or at least force the clinch. If Yoel Romero was able to ground him, Jones would probably be able to do so as well, and Jones (aside from the OSP bout) doesn’t get tired. Jones by decision would be the most likely result by, say, a 70-30 margin- but it would be a fascinating fight. Andrew Richardson’s Thoughts: If the reports that Whittaker can weigh up to 220 lbs. are true, I favor him more than anyone else on this list. I don’t look for the fighter that can catch Jones — it’s too unlikely. But the man who can possibly beat him in lots of exchanges, match his cardio, and deny takedowns? That’s a recipe for success. Israel Adesanya: 6’4”, 80” reach- The Last Stylebender also has long arms, and is a far superior striker, but would need to continue improving his wrestling. On the plus side, he has shown dramatic improvement already. Adesanya makes for an interesting matchup. He could pull off outstriking Jones, but it might be a close battle, being that he prefers a similar rate of striking to Jones, topping out between 40 and 50 strikes a round. However, while he’s not a particularly quick-paced striker, he is an exceptionally well-schooled one, ranked 6th in the world in kickboxing with over 70 wins in kickboxing. It wouldn’t be inconceivable to see his wrestling continue to improve to a point where fending off Jones’ takedowns is a probability instead of a possibility. Stephen Thompson, Robbie Lawler, Max Holloway, Georges St. Pierre, and of course Alexander Gustafsson all developed very good takedown defense after being grounded early in their careers. If anything, Adesanya’s improvement has been on par with the ‘phenom track’ of development. His fight with Derek Brunson told us a lot about his trajectory of improvement. In one year, he went from being taken down by Rob Wilkinson three times to stuffing all of Brunson’s attempts. In fact, while facing improving competition, the number of takedowns he gave up clicked down, 4, 3, 2, 1, 0. 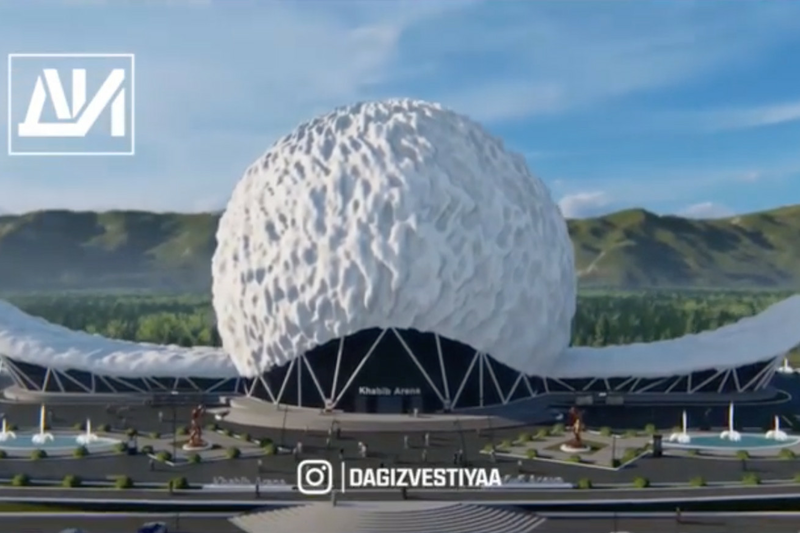 That is stunning, exponential growth. In his current form, though, he still often gets trapped in the clinch even when he successfully stuffs a shot. For whatever reason, Adesanya doesn’t pummel, preferring overhooks to underhooks. It isn’t dissimilar to Max Holloway’s style of takedown defense- wrapping up an opponent’s arm on one side with an overhook, then Adesanya looks to control the other wrist, waiting for his moment to peel himself off the cage. He isn’t easy to both hold there and do damage- Brunson had to use a bodylock to hold him in position, and got relatively little done as a result- but it would still be a major concern against Jon Jones. Jones, even if he couldn’t get the Last Stylebender down, could still do a lot of work offensively in the clinch with his elbows, dirty boxing, knees, and of course, a more creative arsenal of throws and trips than Adesanya has seen so far. That could tip a close fight in Jones’ favor. There is also the issue of sheer size and strength being a factor- Adesanya does cut weight, but he isn’t a particularly heavy middleweight. Nevertheless, he deserves inclusion on this list because of his unique talents. Adesanya might be the best pure striker middleweight has seen since Anderson Silva. Andrew Richardson’s Thoughts: It’s a no from me, dawg. Adesanya is small for a Middleweight; Jones would dwarf him. On a related note, Adesanya relies quite a bit on his usual range advantage to pick him over a much taller and longer foe easily. Dominick Reyes- 6’4”, 77” reach- Reyes may be the most promising candidate of all. Gifted with similarly superb balance and quick ‘boxing shoulders’ to Alexander Gustafsson, Reyes is already a more polished striker than the Swede. The similarities to Gustafsson’s best qualities are evident- his rear-hand uppercut is even more potent than Gus’, and the ability to shrug out of takedown attempts reminds one of an early Mauler. A southpaw, Reyes has the handspeed, power, and elite timing to sting Jones in boxing range, and the height, athleticism, and footwork to command the distance and keep the fight where he needs it to be. His footwork may be his most impressive skill. Unlike Gustafsson, he doesn’t break his stance to run away from pressure, instead utilizing smooth pivots in either direction to turn the pressuring opponent onto the cage, where Reyes lands his devastating counters. That could be a crucial difference, because Jones has shown he will lunge in if he’s not getting the fight he wants. Cormier showed in the second round of their second bout that he is vulnerable when his back is to the cage, and Reyes is a lethal puncher. Also unlike Alex, Reyes can kick to all three levels, with two head kick knockouts to his name. He can outbox Jones, and kick with Jones- but can he stop Jones’ wrestling? It is always an open question, but his defensive wrestling looks excellent so far; he trains with Curtis Blaydes, and against Ovince St. Preux, he showed off the preternatural balance that would be required to stave off Jon Jones. When OSP shot in, Reyes was turning the corner so fast, he often avoided scrambling entirely. Even when OSP did manage to get in on his hips, Reyes proved nearly impossible to ground, shrugging off the former fullback with ease. A fresh St. Preux was physically able to hang with Jones in the clinch; Reyes was able to turn him onto the cage repeatedly. That kind of rock-paper-scissors MMAth doesn’t at all mean Reyes would best Jones in the clinch, but he should have the athleticism he would need to mostly stay out of trouble there. He isn’t unhittable, but his defense, always the last thing for a young fighter to develop, looks exceptionally good. Even when hit by the first punch in a combination, Reyes will stay calm and slip the second before pivoting out and looking for a counter left hand. His pace is the only potential issue; he has finished all but two of his fights in the first round, but when St. Preux took him all three rounds, he slowed his output in the second and third. While this demonstrated admirable composure for such an inexperienced fighter, there is no coasting against Jon Jones. However, that may well be an issue that goes away with seasoning and as Reyes learns to pace himself. Against St. Preux, his output was initially very high, throwing 69 strikes in the first round, as he hurt OSP and looked for the finish; it dropped in the second round, and returned to Jones-esque levels (a little over 40 strikes in a round) when OSP got after him in the third. It’s not just about strike counts, of course; even if you can match Jones’ output, you need to be able to land the more impressive shots. Gustafsson equaled Jones’ striking numbers in the last two rounds of their bout, but Jones won both rounds on the scorecards. This is where Reyes’ power can come in handy; even if he doesn’t drop Jones, his strikes have visible impact. His diverse arsenal may also help him here; in addition to excellent roundhouse kicks to the body and head, Reyes was slowing Ovince St. Preux with his powerful low kicks. Outpointing Jones at range will require kicking with him, and even though Reyes’ kicks are not as unorthodox as Jones’, they are brutally effective. We haven’t yet seen anyone able to attrite Jones with damage, but his famously skinny legs are a good potential target for a determined low kicker, especially over five rounds. Reyes has shown he can stick to a gameplan and double down on tactics that work. While his toolkit is not unorthodox- no spinning techniques or flash- it is the most complete skillset Jones would ever have faced in terms of striking. Gustafsson was mostly looking to box Jones in their first bout, and confined the few kicks he did throw to the legs and body; Reyes can do that, and better, but he is also comfortable kicking someone’s head off. He also demonstrated a nice jab to the head and body when OSP pressured. As a bonus, Reyes also demonstrated that he keeps his power in the later rounds, knocking down the durable St. Preux in the last two seconds of the fight. Reyes already has all the raw ingredients physically, and the mental quickness and composure. He just needs a little more seasoning, preferably a five-round fight against a durable opponent. He has only been training since 2013, so hasn’t come close to reaching his prime yet. If his career trajectory is at all similar to Jones, he will fight once or twice more before challenging for the belt. It would be nice to see him get more practice against a wrestler or two, but the UFC got rid of their light heavyweight wrestle-heavy gatekeepers when they bid adieu to Bader and Phil Davis. Jan Blachowicz or Anthony Smith will have to do, preferably Blachowicz. Against Smith, Reyes would have a clear path to victory that involves just punting his legs out over and over again. The incredibly durable Blachowicz would be more of a challenge, particularly as Reyes doesn’t really wrestle aside from the occasional takedown attempt to break up momentum. Andrew Richardson’s Thoughts: Give Reyes two-to-three years and he’s my favorite pick on the list. He has more natural power than Jones, great footwork, and seemingly sound defensive wrestling. At this point, though, he hasn’t yet shown the ability to control his own pace or execute a more complicated game plan than simply being way better than his opponents. Alexander Gustafsson, 6’5”, 78” reach- Gustafsson’s strengths and weaknesses are well known at this point. He has the height, boxing, and pace to trouble Jones, but his body language in tough fights is not as convincing as Jones’. He moves a LOT, which wastes energy and costs him in five round fights. He has trouble landing that definitive killshot, and his power sometimes suffers if he doesn’t plant his feet. His defense isn’t great, especially before he gets his reads, which may be why he relies on the spastic movement so much. Many of the questions center around what Jones will bring to the cage in their rematch. As Anthony Smith pointed out, Jones will need to be at or close to his best to beat Gustafsson. He famously undertrained for their first bout- will he come in with sharper preparation and better gameplanning this time around? We can only wait and see. Andrew Richardson’s Thoughts: If Gustafsson commits to kicking the hell out of Jones’ legs, he stands a fair chance at dethroning the king. That’s not his game though, and as Pearson mentioned, he does a lot of his best work with the lead hand. Sadly for the Swede, nothing interrupts the jab and left hook like a low kick. That’s… that’s it. No other light heavyweights have a reasonable hope of beating Jones. Anthony Smith has the height and power, but he was also grounded with relative ease by Oezdemir and stayed turtled for an entire round. He and Blachowicz are honorable mentions as fine fighters that don’t have the next-level athleticism to have a real shot of beating Jones. Aleksandar Rakic, 6’5”, and Johnny Walker, 6’6”, are intriguing prospects, but haven’t faced the level of opposition necessary to evaluate them yet. Andrew Richardson’s Thoughts: Honorable mention to Thiago Santos! Would the crazy Brazilian’s wildness most likely see him put on his back and punished? Definitely. He does, however, have the brutal range attack to actually out-work Jones with kicks, something we have never seen happen. Heavyweight: Jon Jones looks less and less likely to ever migrate to heavyweight, aside from possibly a gimme fight with Brock Lesnar. If he ever did, though, could anyone there beat him? Only a handful of fighters have any hope beyond the possibility for a wild KO. Stipe Miocic- 6’4”, 80” reach- Miocic makes for an intriguing matchup with Jones. He has the pace, stamina, boxing, wrestling, and power to trouble Jon. The clinch could conceivably be an issue, with his only recent loss coming by KO from the clinch by Cormier. Jones hasn’t shown that kind of one-punch knockout power in the clinch, though. Miocic could probably replicate a lot of Gustafsson’s success boxing Jones at range, but with more power, and instead of running away, he could potentially pressure the light heavyweight GOAT along the cage, where Miocic has undeniable knockout power. Jones would need to dig into his bag of tricks; he could tie Miocic up and look to take him down- we’ve never seen Miocic forced to wrestle with someone as good as Jones- or Jones could theoretically outpace him with a steady diet of kicks. His weaknesses are similar to Gustafsson- his defense isn’t phenomenal, and he keeps his hands low, potentially leaving him open to headkicks. Still, Miocic is one of the toughest matchups for Jones that there is- if anyone could be favored over Jones, it would be the firefighter from Ohio. Andrew Richardson’s Thoughts: After Miocic slowed and faltered due to the pace and jab of Daniel Cormier, I lost a lot of confidence in Miocic opposite Jones. Jones might not be able to one-punch him like “DC” did, but he could certainly wear him out and bloody him up with the same strategy of straight punches and clinch work (and kicks, since it’s Jones). Daniel Cormier, 5’11”, 72.5” reach- We’ve seen this matchup. The only difference is whether his extra 20-30 pounds of power at heavyweight would mean he could land the knockout KO or perhaps bully Jones more effectively in the clinch. Jones himself sees a heavyweight bout as ‘putting all the cards in [DC’s] favor’. The possibility is intriguing, considering Jones himself doesn’t want it there, but probably not enough to pick DC straight up, even at heavyweight; he probably faces odds tilted at least 70-30 against him once again. Andrew Richardson’s Thoughts: “DC” has a better chance at Heavyweight, but I still really hope they don’t ever make this fight again. We’ve seen it twice; that’s enough. Curtis Blaydes- 6’4”, 80” reach- His chance would be straight-up outwrestling Jones using his 20-30 pound advantage. Jones probably walks around at 225-235 in fighting shape; Blaydes gets into the cage at a lean 255. Would that weight difference matter? Jones has literally never been outmuscled in the cage, but Cormier held his own, and Blaydes wouldn’t be at a leverage disadvantage due to lack of height. Blaydes also has a lot of power, even if his striking is a little rote, and cardio for days. It’s an intriguing matchup, but one we probably won’t ever see. Andrew Richardson’s Thoughts: It’s hard to see Curtis Blaydes losing to anyone who doesn’t have the power to scare him off. It’s also hard to see Jon Jones being out-wrestled for five rounds. That’s a lot more of an intriguing match up than I’d first have thought and would be a great opener for Jones’ heavyweight career if it ever happens. Francis Ngannou- 6’4”, 83” reach- Pace could be an issue, as would wrestling at this point, but if Ngannou can fix the holes in his game, his power, counter-punching acumen, and athleticism could make him a problem. His bloodying first loss against Stipe gets construed as being more one-sided than it actually was, in hindsight. Perhaps suffering from big stage nerves, he forced a very high pace in a wild first round, then when he and Stipe were both exhausted, Stipe was able to turn a small advantage into a decisive one by wearing him out further with wrestling. In the Derrick Lewis fight, he showed that he doesn’t like to lead if he’s afraid at what might come back at him. Now back to weighing around 254 lbs. instead of 265, and at a more composed pace, his cardio might not be as much of an issue moving forward. He also shouldn’t have a problem leading against Jones. His matchup with Curtis Blaydes was supposed to tell us more than it did, but if he and Cain Velasquez really make it to the Octagon in February, that will (hopefully) tell us a lot about his future potential against wrestlers. Andrew Richardson’s Thoughts: Ngannou hits brutally hard and could deny the takedown for at least a round. The Heavyweights in general definitely have a better chance than anyone else, but Ngannou is hampered by his lack of distance offense; he generally only works in counters, which will be difficult opposite “Bones.” Still, Ngannou is improving, and it’s already a majorly scary fight for Jones. That’s the end of the list! I checked it twice and I don’t think anyone has been left out, except for Cain, who I won’t ever believe is |back”. Have a merry Christmas, and enjoy the fighting this weekend if you can! However, it was all strategy on the part of Rockhold, as Yoel says the former Strikeforce and Ultimate Fighting Championship (UFC) middleweight champion was simply looking for the easiest fight available. “I don’t understand why he said no. I don’t understand. Maybe he had a strategy in the mind. He say, ‘No I wont fight Yoel, I will fight somebody easy.’ Respect to David Branch, but that’s the way he thinks, you know? That’s Luke’s mentality, ‘I want a more easy fight, win and Yoel Romero lose his last fight.’” said the tank of a middleweight on a recent edition of The MMA Hour. After submitting David Branch in his first fight in over a year this past September (see it), Rockhold was the recipient of a surprise title shot a couple months later against Robert Whittaker after Georges St-Pierre decided to vacate the 185-pound strap due to an ongoing battle with colitis. To hear the Yoel tell it, Rockhold needed to face him first with winner getting dibs on the next title shot. “For my opinion, he needed a fight with me and the winner fight with Robert. The problem is UFC has a show in Australia and this guy is the champion right now in my division. So he needed somebody and UFC gave it to Luke Rockhold because he win his last fight,” added Romero, who says he is now waiting for someone to just agree to step into the cage with him. “I am waiting for UFC for a fight. I want to main event Feb. 24 in Orlando. I am waiting for the fight for Luke Rockhold, but I know now he has a fight with Robert. Now I am waiting for somebody. But nobody say ‘Yes, I want to fight Yoel.’ So give me somebody, maybe Michael Bisping,” he said with a laugh, while confirming Kelvin Gastelum also turned down a fight against him. Of course, on the heels of two straight brutal defeats, “The Count” is unlikely to return to action in February, as he instead plans to end his career on his home turf of London, England a month later. Still, Romero needs a worthy contender to welcome him back into the cage, and I personally wouldn’t mind him facing off against the aforementioned Branch. Lorenz Larkin will make his Bellator debut on June 24, taking on welterweight champion Douglas Lima at Madison Square Garden in New York. The titleholder is happy to welcome him to the company. Lima, who recaptured the 170-pound gold in November, understands why the promotion gave Larkin an immediate title shot after leaving the UFC with back-to-back wins over Neil Magny and Jorge Masvidal. In fact, Lima has no idea why the UFC is letting talented fighters like Larkin go away in the first place. Defending his belt is always the main priority in his fights, but Lima sees the opportunity of beating a UFC veteran in his prime as a chance to solid himself among the best welterweights in the world. 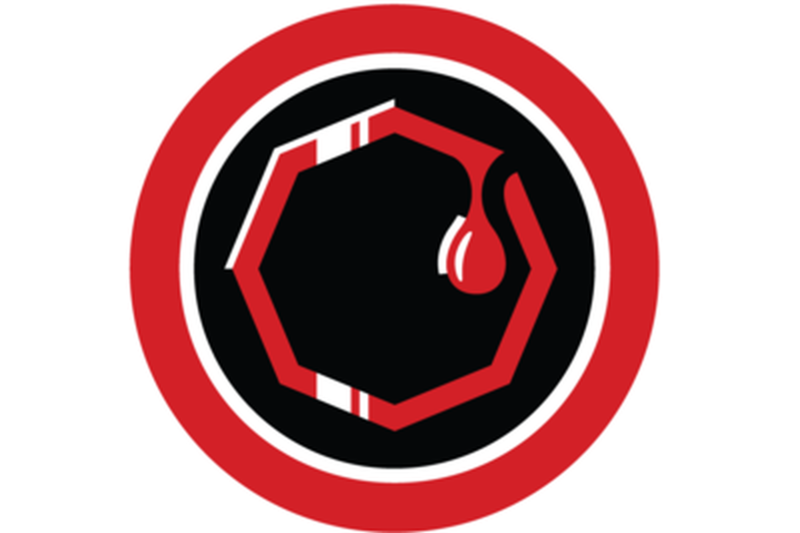 Lima finished eight of his 10 Bellator wins by knockout, while Larkin stopped three of five of his opponents in his victories under the UFC banner. With that stoppage rate, the Brazilian expects an explosive night at Madison Square Garden. “I think we match up well style wise,” Lima said. “Our styles are similar. He’s more of a striker and that favors me. I don’t know, I like to fight guys like that, who really come to fight, and I think this is going to be an exciting fight. We will steal the show in this card, despite the other great names in it. I think this is the best match-up Bellator could have put in this card.